A mall is a building complex containing stores, restaurants, and other facilities. 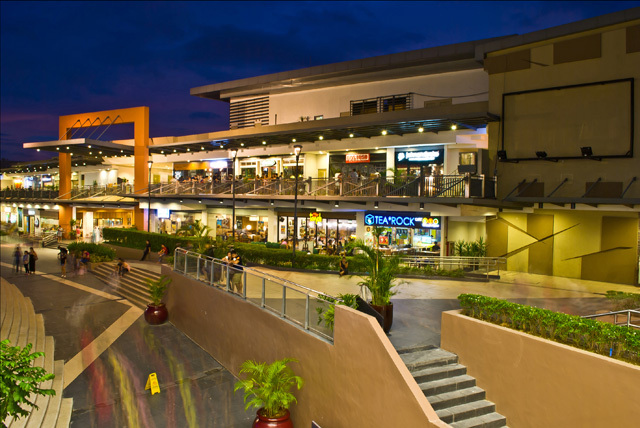 Shopping malls have become a popular go-to place for Filipinos due to its convenience and various facilities. The UP Town Center (UPTC) has become a popular destination for people within the Katipunan vicinity. Students have been the target customers for this mall due to its close proximity to academic institutions such as the University of the Philippines, Ateneo de Manila University, and Miriam College. The scope of this ethnography will cover the behaviors and practices of students in UPTC and aimed at answering the question, "Is UP Town Center a practical shopping center for all UP students?" To test my problem, I observed the people visiting UPTC for an hour daily, in a span of three days. I walked around the mall to be able to see the activities of the shoppers. In addition, I also interviewed students from both UP and Ateneo to compare their mall going habits in UPTC. The limitations of this ethnography are the lack of diversity of students from different socio-economic status, the small pool of interviewees, and lack of time for observation. The first thing that welcomed me as I entered the mall is the cold air conditioning and the wide and bright interiors. I passed by a number of stores and restaurants that cater to almost every need of the customers. A wide array of establishments from supermarkets to department stores made it a complete one-stop shopping center. I noticed that food establishments had more customers than other non-food retail stores. In addition, more students flock to cheaper food establishments and coffee shops rather than higher end restaurants. When I saw the jam packed S&R food restaurant, I was curious to why there were so many customers. I went into the store and checked out the prices of the food. The food in the store was inexpensive and ranged from as low as P49 to P199. Other inexpensive restaurants with food priced at P100 include Silantro, Recovery Food, Pepper Lunch, and 8cuts that are popular among students. These restaurants seem to have more studen customers than other high-end food establishments. Dessert places and coffee shops are also popular destinations for students to study or catch up with friends. Cold Stone Creamery, La Lola Churreria, Rita's Jamba Juice, and Starbucks Coffee are among the many dessert shops popular among students. However, most of these establishments sell expensive food items with prices starting from P150 and above. National Bookstore is another popular shop for students in UPTC. This bookstore, although small, caters a wide array of students from primary to tertiary school students. Customers are able to buy books and supplies for their requirements. National Bookstore is one of the few non-food establishments with a lot of student customers. The items in National Bookstore are affordable and practical for students to buy as compared to other retail stores such as clothing, shoes and cosmetics. Going back to my main participation-observation, majority of UPTC goers are students. The crowd in the mall is comprised of mostly Ateneo college students and lesser UP college students. In a span of one hour each day, I was able to see more groups of Ateneans going around UPTC during the days of observation. There were also a lot of grade school and high school studens from Ateneo and Miriam College in the mall. Although UP Town Center is much closer and more accessible to UP students, the number of UP visitors in the mall were outnumbered by students from other colleges. My assumption is that the UPTC caters to high-end students, often visited by students from UP itself. 1. How often do you go to UP Town Center? 2. What are your usual activities in UP Town Center? 3. Why do you go to UP Town Center? 4. Are the goods and services in UP Town Center expensive? Do the prices affect you from visiting UPTC? 6. What are your top three most visited places in UP Town Center? Out of the ten Ateneans I interviewed, three studens visit UPTC at least once a week while seven of them visit at least twice a month. The usual activities the Ateneans do in UPTC is to eat and hang out with their friends. Dining is also the main reason for them visiting UPTC. Eight out of ten interviewees said tha the goods and services in UPTC are fairly priced and it does not affect them from visiting UPTC again. The popular shops among them are Recovery Food, S&R Fast Food, Mad Mark's Creamery, and Cold Stone Creamery. Half of the UP students I interviewed visit UPTC at least once a week while the other half visit UPTC at least once a month. Their usual activities are to eat, to experience the cold air-conditioning, to walk around, and to buy school supplies. Dining, security, comfort, and accessibility are some of the reasons as to why they visit UPTC. All of the interviewees said hat the products in UPTC are a bit expensive which is why they go to alternative places like CASAA or Area 2. Some just choose not to go in these expensive stores and just walk around to enjoy the new setting. All said that UPTC is not the most budget friendly place but they still go because of its safety and amenities. The popular spots for these UP students are Pepper Lunch, National Bookstore, Silantro, Cold Stone, Recovery Food, and S&R Fast food. Based on the data collected, I can conclude that dining is the main reason for students going to UPTC. It is also evident that UPTC is not the most practical place for UP students to shop and dine in everyday. It would be too costly for UP students to do malling everyday to UPTC. UPTC caters to the higher ends students who happen to be the minority of the UP student population. As a result, students tend to go somewhere with much cheaper food for practical reasons, while other students with bigger food budgets dominate the UPTC scene. Another thing we can look into is the variety of cheaper food stalls inside and outside UP. Perhaps, this can also be a contributing factor to the distribution of students in relation to smaller UP student crowd in UPTC.